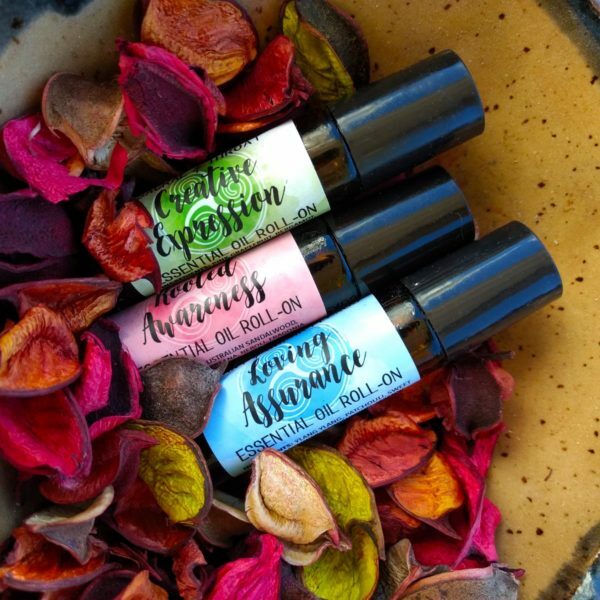 Based on the spiral path of the Celtic Chakras, this set of roll-on oils will support you in your intention to enhance your loving assurance, creative expression, rooted awareness, or wholeness of self. 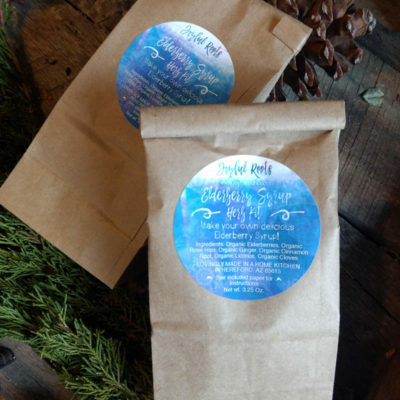 Use them individually or as part of a meditation and allow the aromatherapy to enhance your well-being! 3 – 10 mL Essential Oil Roll-ons Pre-Diluted. Loving Assurance: Ylang Ylang, Sweet Orange, Lavender, and Sandalwood diluted in fractionated coconut oil at 5%. 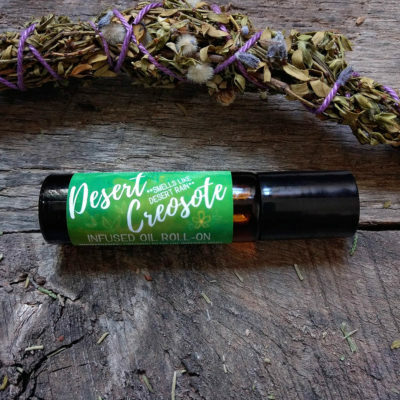 Creative Expression: Pink Grapefruit, Bergamot, Palmarosa, Juniper Berry, Basil linalool, Lemon, Rosemary, Peppermint, Litsea (May Chang), Star Anise diluted in fractionated coconut oil at 5%. 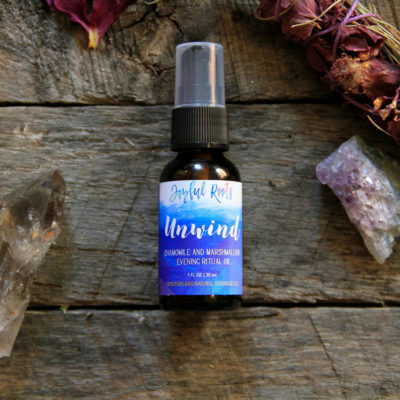 Rooted Awareness: Australian Sandalwood, Frankincense Frereana, Neroli, Fragonia, Bergamot, Mandarin, and Rose Otto. diluted in fractionated coconut oil at 5%. The triple spiral (Triskele) is an ancient Celtic symbol which is thought to symbolize the sacred trinity and connection to the three realms “land, sea, and sky” or the three cauldrons, “vocation, wisdom, and warming.” The three Cauldrons contain pairs of energy centers found in the body, more commonly known today as Chakras (which is a Sanskrit word). The seven energy points (chakras) within the body are, the base, sacral, solar plexus, heart, throat, third eye, and crown. Most chakra teachings will follow a linear path from the base (tailbone) to the crown (top of the head). The Celtic chakra system, however, follows a spiral path, centered upon the heart. A spiral contains a sense of progression yet encompasses both outward expansion and continual return to the same place. This is similar to life, which is continually moving and changing, fluxing in and out. As this Cauldron fills, it represents itself as a desire to follow one’s life path and want something beyond the everyday. It shows up as the emotion of desire and commitment or loving assurance. This, in turn, enables motion, and that sets one on a journey of committing to working toward something greater than ourselves. Once the Cauldron of Vocation fills, it begins to spill into the Cauldron of Wisdom. Wisdom is about knowing how and when to use knowledge. It allows us to find our unique creative expression in which we can impart our wisdom to the world. As we begin to assimilate the wisdom into our daily lives, we begin to form a deeper connection to our world and beyond. As vocation begins to fill the Cauldron of Warming, we start to feel at one with the source of life in each of us. We are warmed by the breath of the soul and empowered by the vitality of blood. We begin to connect to both Spirit and Earth – feeling a rooted awareness of both our sacred bodies and heavenly connections. You will notice that each pair of Chakras is also represented by a color, blue, green, and red. If you add blue, green, and red light together it forms white light, and this represents the Third Eye Chakra, where all of the chakras come together. This is where the wholeness of you exists. TO USE: You can use your roll-on oil set in many ways and there is no right way, however, here are a few ideas. The easiest way to use them is to choose one of the oils (or all three for the brow chakra) and apply that oil to your wrists or temples. Take in the aroma and choose to use it as an intention to enhance your loving assurance, creative expression, rooted awareness, or wholeness of self. Note: Roll-ons may need to be primed before they roll smoothly. 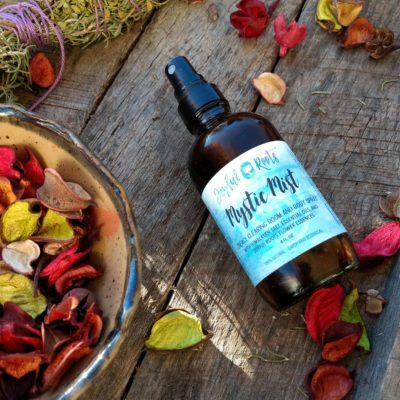 You may choose to go deeper and use the entire set, journeying through the spiral path, using each oil on the appropriate energy point on your body. The card that is included in your Ascension kit depicts the spiral path. You may choose to use this as a form of meditation.